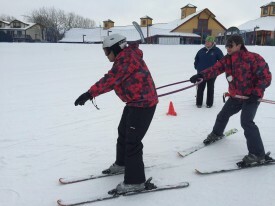 Alpine skiing is arguably one of the most difficult sports offered through Special Olympics Illinois and earlier this month SOILL Chicago/Area 3 athletes were up for the challenge. For the first time in many years, Area 3 hosted the Chicago Alpine Skiing Qualifier in Galena, which boasted 42 athletes from 10 park district locations and two Chicago Public Schools – including approximately 20 new skiers. The volunteers at the event were recruited from the Winter Games volunteer pool and couldn’t have been more excited about the event. Athlete Bill Braasch from McGuane Park was greeted on the top of the hill by volunteer Mark Van Osdel with a huge cheer after Van Osdel recognized him from many past Winter Games. Bessemer Park and Amundsen High School athletes made the slopes look easy. 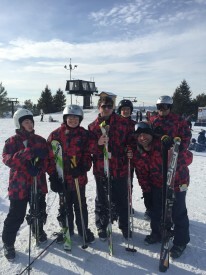 The Bessemer Park athletes – all brand new to alpine skiing – took to the sport very quickly. During the level assessments, several athletes gave the next level up a try, and while not all of them moved up, it was inspiring to see athletes reaching for the next challenge. In Amundsen High School’s first year of winter sports, let alone involvement in Special Olympics, the team brought four athletes to Galena. 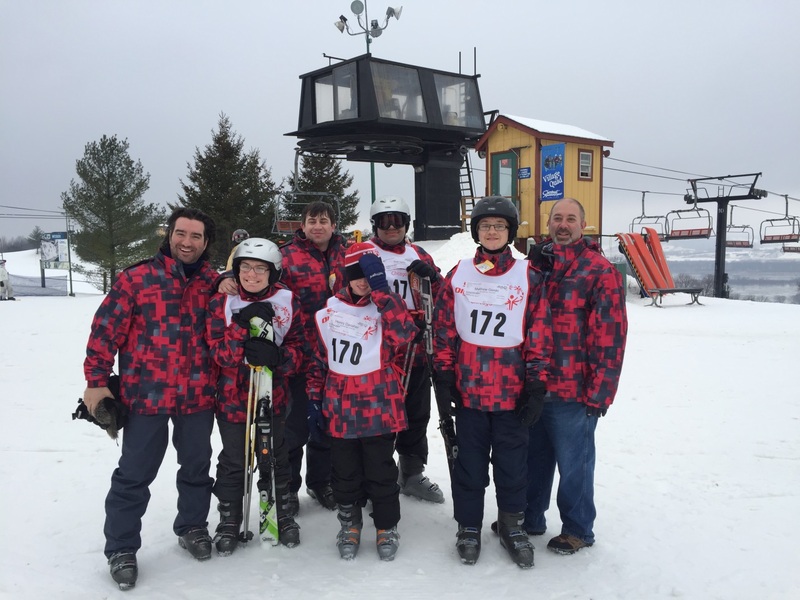 Three of these athletes, with little to no experience skiing, qualified for the 2016 Special Olympics Illinois Winter Games. Amundsen High School Coach Ryan Ward has been working with Special Olympics since he was in high school, close to 16 years ago. He later majored in Special Education in college and is in his ninth year of teaching. The alpine skiing competition was a great introduction for the athletes and school. Ward expects they will have between 12 and 20 athletes competing in soccer skills, swimming and athletics this spring. The athletes were even recognized in a special announcement at a school assembly by Pavichevich. The Amundsen High School Special Olympics team will have the opportunity to make more friends and earn additional medals at the 2016 Winter Games beginning Feb. 2. “All the coaches who went [to the qualifier] will have many memories, but I think we can agree the best was at the end when our athletes, along with all the other athletes that competed, were shaking each other’s hands and congratulating each other on their medals,” says Ward.